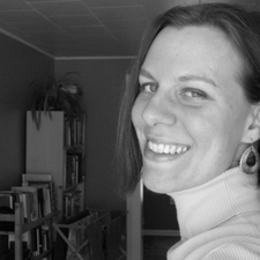 Stephanie Gehring is a partial native of Portland, Oregon, and of various German towns. She holds an MFA in poetry from Cornell, recently fell in love with the Book of Kells through the lovely animated film The Secret of Kells, and is currently finishing a Master's degree at Duke Divinity School and starting a Ph.D. (in Religion) in the fall. Among her favorite things are yellow-orange roses, improv comedy, and reading good books while going on long walks (which requires less coordination than you might think).